You can now apply to plant your buns in a 27-foot-long wiener and relish the open road. This. Is. Happening. 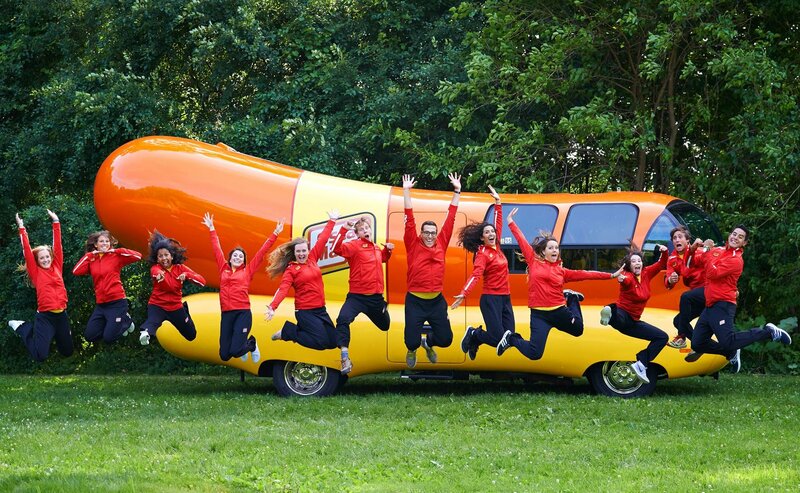 Oscar Mayer is looking for lucky "Hotdoggers" to navigate its famous Wienermobile full-time. The brand has recently revamped its famous hot dogs with no artificial preservatives, no added nitrates or nitrites, and no by-products. It wants you to take the news across the nation to put a better wiener "in every hand" (their words, not mine). If it has always been your dream to drive the big dog, the company is hiring recent college graduates and the deadline to apply is January 31. Wheel time would begin in June and last for one year. "Applicants should have a BA or BS, preferably in public relations, journalism, communications, advertising, or marketing, though applicants aren't limited to those degrees. The position is 100% travel. Bilingual candidates are encouraged to apply," says the company. The first Wienermobile hit the road in 1936, manned by a driver with an appetite for adventure. It has been part of the company’s advertising ever since. Today, the company has as many as six Wienermobiles that you can "ketchup" with on the road at any time throughout the nation. You can follow the wieners on wheels on Oscar Mayer's Instagram (@oscarmayer) to keep up with their whereabouts. Do you think you have what it takes to cut the mustard? Check out more information and the application instructions here. The 1952 Wienermobile has been living for years in the Henry Ford Museum in Dearborn, Michigan. The 1969 Wienermobile model featured Ford Thunderbird taillights and a Chevy motor home frame. If you are really a true-blue wiener fan, there's a Wienermobile app for iPhone, iPad, or Android device that features a 360-degree driving game plus updates on the location of closest Wienermobile to you. There’s even a tool to add a Wienermobile doodle to any of your photos. Can you see yourself driving a big wiener across the country? Do you still remember the Oscar Mayer Wiener jingle? Let us know in the comments.